Web Summit has become the defining tech event for Europe, bringing together the titans of industry and thought leaders from around the world and the two Belfast sister events promise to deliver the same calibre of speakers and attendees. MoneyConf will bring the innovators who are building the finance technologies of the 21st century together with leaders from the world’s largest and most-established financial institutions. EnterConf will focus on business technologies - bringing together tech trailblazers with IT leaders from around the world. 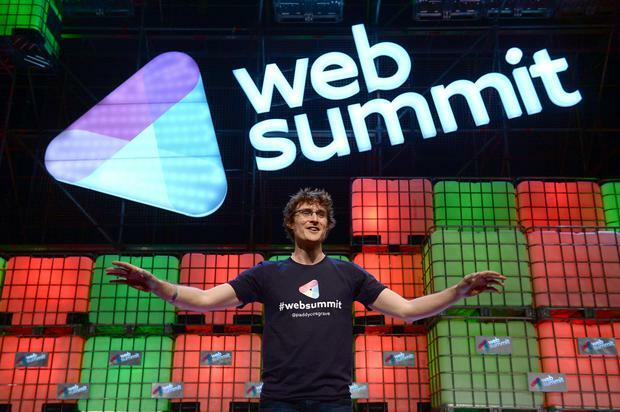 Web Summit founder Paddy Cosgrave said: "After 4 short years of growing Web Summit from 400 to 22,000 people we've decided to do something very different. "At Web Summit in November we asked attendees if we were to do a standalone conference, what would it focus on? There were 3 big trends: enterprise, payments and internet of things. "So, today we're launching our first two standalone conferences in our short history. They'll take place this June in Belfast. We're incredibly excited and have lots to announce over the coming weeks. We've lots of speakers for both conferences to reveal over the coming weeks. " Over two days in June, EnterConf will bring 5,000 tech industry leaders together with a curated group of enterprise startups in Belfast. Last year saw a host of great speakers at Web Summit events, including Peter Thiel, Drew Houston and Elon Musk. More big names will be making an appearance in 2015, with speakers being a mix of everything from Founders to CEOs, investors to inventors, thinkers and designers. Enterprise experts from around the world will come to Belfast to share their stories, experience and advice with a cross-section of influencers from across the IT world. EnterConf promises to be "an immersive Enterprise experience, a curated industry specific event that will open up Belfast and allow the great minds advancing enterprise technology in traditional and non-traditional businesses to connect, engage and inspire". Mr Cosgrave said: "Europe lacks an enterprise software conference at scale. Why should they all be in America? We're going to change that. " Money Conf promises to give "groundbreaking insight into the processes and techniques involved in the fintech industry and while breaking down how online payment companies such as PayPal, Stripe, many more have scaled to be some of the most recognisable brands world." Mr Cosgrave said: "Innovation in the payments space has exploded. That innovation impacts on every business and every consumer everyday. We're taking what we've learned scaling Web Summit from 400 to 22,000 in 4 years and applying it to MoneyConf."